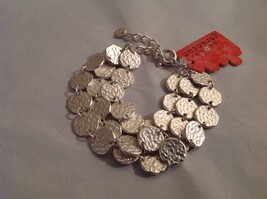 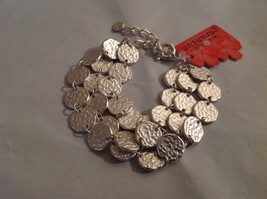 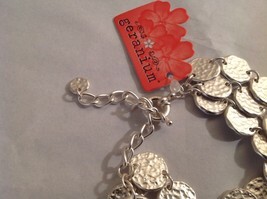 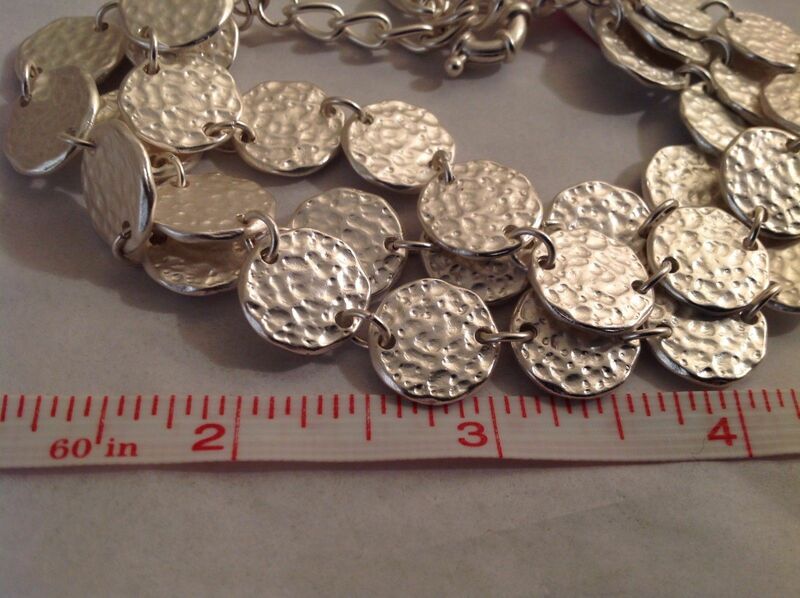 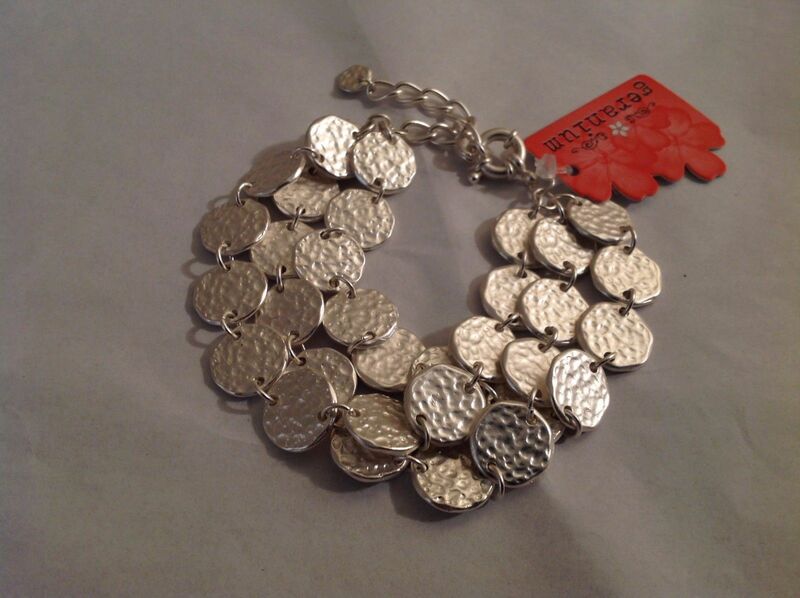 This is a new with tag wide multi strand bracelet from Geranium with silver toned medallions. 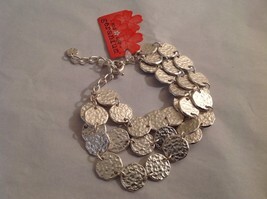 It features an adjustable lobster clasp. It measures 10" in length max.